– The news today supports JZ’s 2008 Byline that included the science from over 6+ years ago. 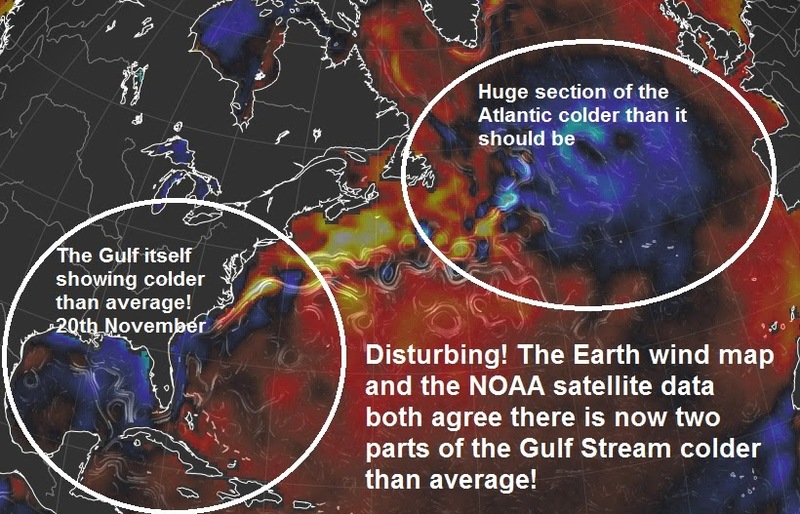 “New data from The Earth Wind Map and The NOAA Data Satellite both agree and are now showing the Gulf Stream is colder than average in not one area but two!” quoting Gary Walton, The Big Wobble Almanac. Click here for The Earth Wind Map. Click here for The NOAA Data Satellite.